There are eight million people in the UK alone who collect air miles simply by shopping at participating stores. Air miles can be collected when buying goods using an air miles card or with credit card companies that participate in the air miles scheme. Sounds good but is there a catch to the air miles scheme? Air miles are similar to loyalty schemes where the customer shops at certain retailers and gains points on goods purchased. These points can then be exchanged for free or discounted flights, hotels and numerous other travel options. The more you spend at participating retailers using your card the more points you will receive. In theory this seems like an excellent way to get free flights but there have been some reports that obtaining free flights means spending quite a lot. Businesses do not give anything away for free. Businesses exist to make a profit and although the air miles scheme looks good on paper the truth can be a letdown. In fact you will need to spend a lot of money even to fly to nearby destinations such as Paris or Amsterdam. Here are a few destinations and how much you would need to spend before you can get free flights using air miles. Credit cards that participate in the air miles scheme will have their own rules when it comes to how much you need to spend to get points. If you are interested in collecting air miles points then it may be worth checking to see who offers the most air miles points when it comes to spending. Different retailers may also have different values when it comes to points so check out who gives you the most for your money. 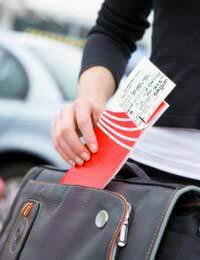 A lot of spenders never actually cash in their points as they think they will never spend enough to obtain free flights. However, according to Air Miles’ marketing director those on a high income can save a large amount each year through the Air Miles scheme. If you have a monthly disposable income of around £700 (after all other bills have been paid from the original salary amount) you can save up to £730 a year with the Air Miles scheme. This does mean concentrating spending your disposable income at participating retailers. Stay loyal to one particular store and you can accrue more points. By spending at particular stores all the time you can double the amount of points you receive. Spread your spending through a number of different stores and this benefit will not apply. Another issue to look out for is the fact that many participating air miles credit cards do have higher interest rates, so do shop around for the best rates. Going over the limit on your air miles credit card will effectively increase the amount you have spent to gain your points in terms of charges and fees. Use your card whenever you can to maximise your points but never go over the limit and pay off the credit card on time every month. By doing this you can significantly increase your points and eventually you will be able to claim free or discounted flights.